If you do not maintain your refrigerator in a good condition, it can emit a foul smell that can spread to the entire house. The air in the refrigerator can also enhance bad smell. Air is circulating constantly within a frost free refrigerator and tends to pass over the varied food stuffs preserved inside. Therefore, even a slight odor in any one corner of the refrigerator can spread quickly and take a long time to disperse. You can use your sense of sight or smell to locate the odor causing products initially. The following tips can go a long way in helping you to avoid refrigeration odor. You can use transparent containers to store food items as this can enable you to identify its contents easily. Details such as the estimated expiry and date of purchase can be included on the product label as this can let you segregate the fresh food items from the contaminated ones. Care should be taken to clean the spills and stains regularly as this can become the breeding ground for bacteria and germs if left unchecked. Stains on the containers and bottles if any should be removed every now and then. Leakage can be avoided by sealing the bottles and jars properly. Pieces of lemon or charcoal can be placed in a small container inside your refrigerator to eliminate unwanted smell. Lemon juice can also be used to remove stubborn stains from different parts of your refrigerator. Baking soda is another ingredient that can help prevent bad odor from spreading within the refrigerator. You can clean your refrigerator once every week to keep it spick and span and free of repairs. 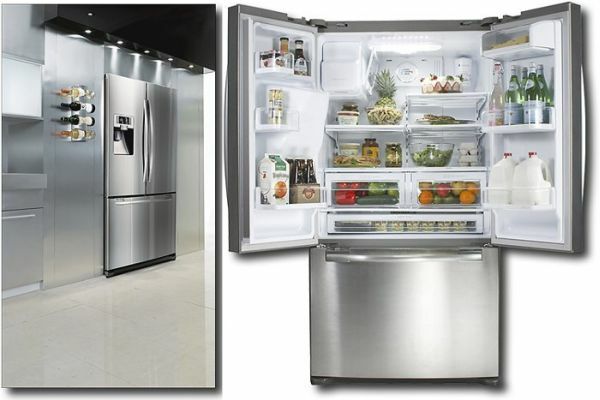 You can maintain a well organized refrigerator by removing all the perishable food stuffs. This is especially a must when you are planning to go on a trip. A stinky refrigerator will not affect you when you follow the simple steps outlined above. With proper maintenance and clean up, you can avoid a lot of problems while using this appliance.